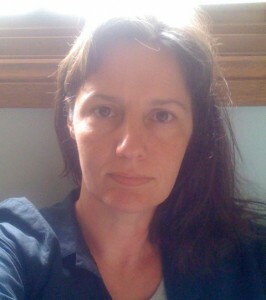 Fiona Hile’s poems have been published in the Age, Overland, Shearsman, the Sun-Herald, Rabbit, Steamer and Cordite. Her chapbook, The Family Idiot, was published by Vagabond Press in 2012. Her features, book reviews, and interviews have been published in the Age, Southerly, Art & Australia, Art World, and The Monthly. She is currently completing a PhD on Michel Houellebecq and JM Coetzee at the University of Melbourne where she also tutors in Literary Studies. Her essay on the hermeneutics of equivocation in Coetzee’s Elizabeth Costello is forthcoming in JASAL. you applaud the absence of Mondrian Green. Mondrian! There isn’t a poet alive who would disagree with your conception of nature. I have tried to be everything and I cannot do it. our silence is creating new forms of interaction. I recently sat in a lecture theatre and listened to the poet Andrew Motion talk about poetry of the First World War. I sometimes harbor petty suspicions and unwarranted aversions to particular forms of poetry. Often, on hearing something I was sure I wouldn’t like or had previously decided wasn’t my kind of thing I end up changing my mind. Henry Reed’s ‘Naming of Parts’ really stayed with me: I love the alarming and saddening juxtaposition of technology and nature. 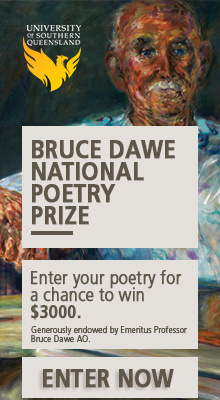 I’ve since been looking into what I consider to be some very fine examples of Australian war poetry – contemporary works by Jennifer Maiden, Gig Ryan, and A Frances Johnson. The second lecture dealt with World War Two poetry and so I’ve been reading Paul Celan and an excellent essay by Marjorie Perloff called ‘Sound Scraps, Vision Scraps’ that sets out to move beyond the conception of Celan as a ‘holocaust poet’ by examining instances of his work at the level of sound structure, rhythm, lineation and syntax. I tutor in literary studies so I’ve also been reading Waiting for Godot, The Wasteland, To The Lighthouse and essays on Modernism. Soon I’ll be rereading Sylvia Plath and John Forbes. I remember last semester mentally tallying the week’s reading, which happened to include reading for supervisions and thesis examinations. I came up with Great Expectations, Romeo & Juliet, Othello, Jane Eyre, A Doll’s House, The Cherry Orchard, Perloff’s Differentials and Unoriginal Genius, poems by Tom Raworth and Robert Duncan, and numerous texts on Jean Baudrillard and science fiction. Bits of all of these are still finding their way into my poems. I read these lines out to the poet who shares the office with my friend. The next day, after having coffee with another poet who works in the building, I wrote a draft of a poem. I called it ‘Walt Whitman Poem’ but I will probably re-title it ‘Courtly Love’. I type bits of things into my phone and forget about them. Sometimes I re-find the scraps and invite them in to whatever poem I’m writing. I get together with friends about once a month to read poetry – our own and the works of others. We rarely have anything to say about each other’s poems at first. There might be the occasional sigh or grimace, the lurch of red wine onto the carpet. As the evening progresses, high enthusiasm! I think poetry is the elephant in the room. I think poets are those who love elephants.